AVI file format is developed by windows, which makes it playable with all the major Microsoft and non-Microsoft operating systems. It do not require any particular hardware device of software for the file to run. And it is the most widely used video format for promos, short movies and advertisements because of its compression capabilities. Sometimes you'd like to convert iTunes M4V videos to AVI, but you failed. That's because iTunes movies are protected by DRM restrictions. Because of DRM, to play iTunes movies, TV shows and music videos, the computer needs to be authorized (using iTunes) with the account that was using in purchasing the video. Besides, You can only play iTunes media files on Apple devices. A single device can contain purchased content from up to five accounts; iTunes will dtop you adding data from a sixth account. And you can't change iTunes M4V videos to AVI directly, either. Don't worry, here is a few creative but powerful way that will steer you through the professional M4V to AVI conversion progress. A variety of M4V conversion software are available for the Mac now. Here M4V Converter Plus is highly recommended. With this M4V converting tool, you can legally get rid of DRM and easily convert M4V to AVI. 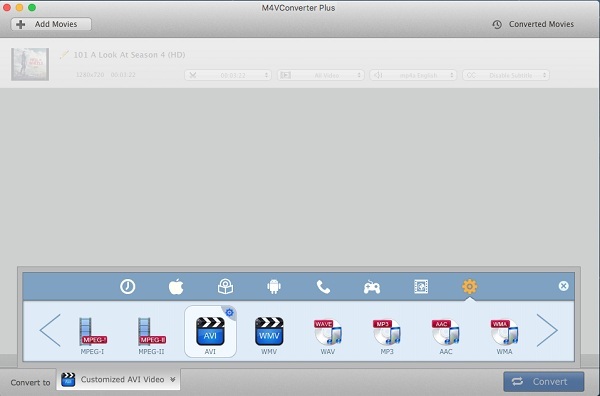 Here are the tips about converting M4V to AVI for Mac you can follow. Step 1. Import M4V movies from your iTunes playlist. After you have downloaded and installed the latest version of M4V Converter Plus for Mac. Open it, you will find Add Movies button on the right top corner. Click it and it will pop up the a window, choose the movies you wanna convert and hit Add. Step 2. Set AVI as output format. In this step is choosing AVI video as output format. The concrete measure is clicking Convert to profile panel, the program provides a series of formats for users, including almost popular mobile devices. 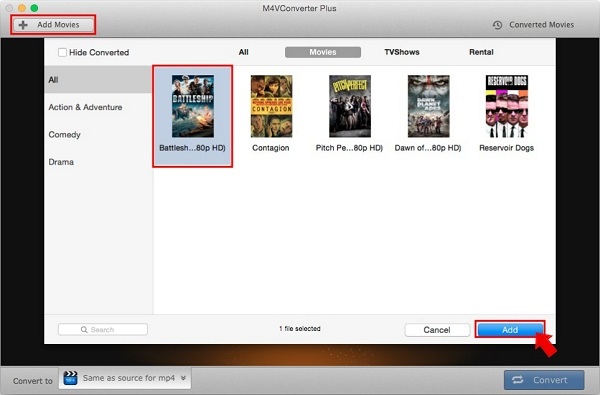 To convert iTunes M4V to AVI, click on gear icon option and choose Customized AVI Video. Step 3. Start converting M4V to AVI. Finally, hit the Convert button, the M4V to AVI conversion progress will start automatically. The required time depends on the iTunes movies length. 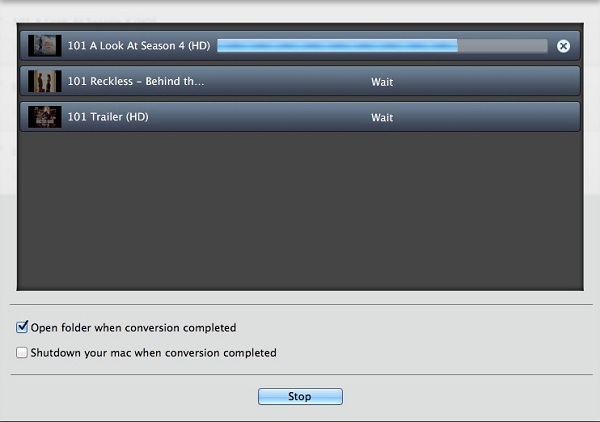 With M4V Converter Plus, you can convert all iTunes videos at 30X faster speed. So you can get the converted AVI videos within a few minutes. If you are a Windows user, you can find tips on how to convert M4V to AVI on Windows.